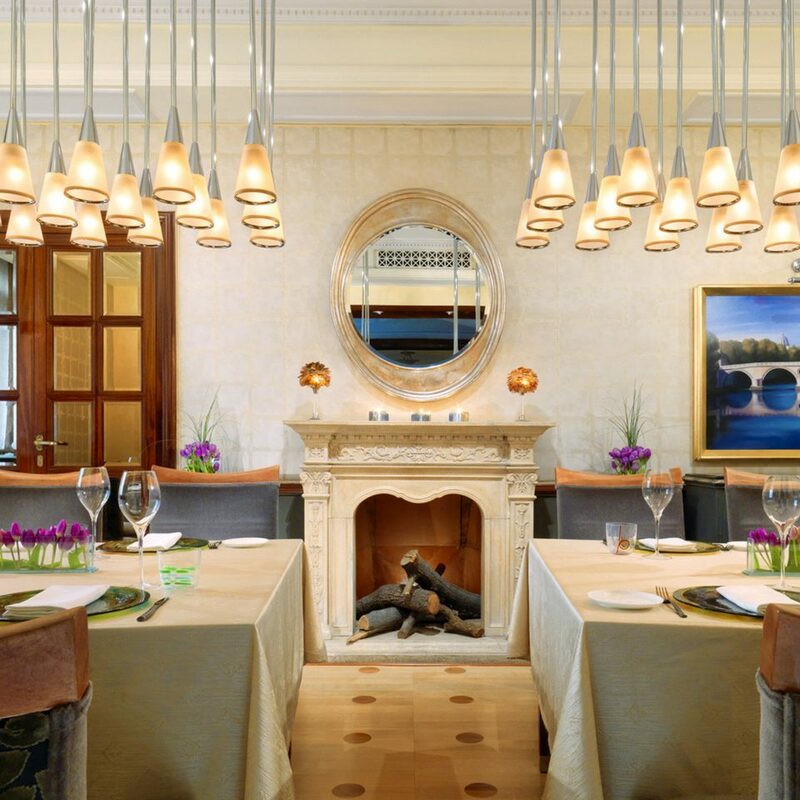 The St. Regis’ Roman outpost is chic, romantic and timeless. 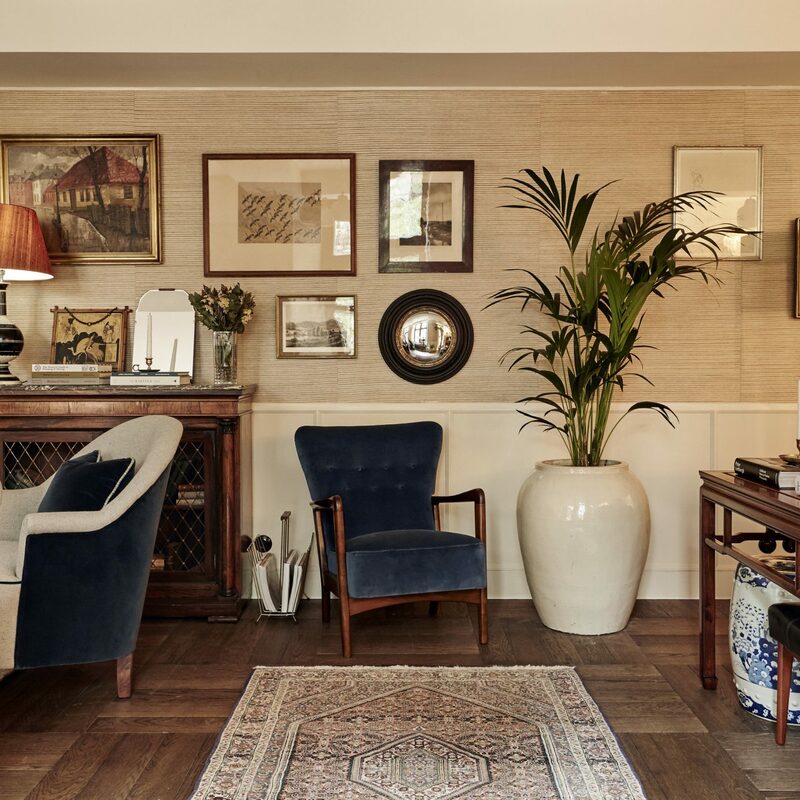 Think regal timber and marble paneling, soft Italian leathers of every shade and grand antique mirrors and chandeliers alongside modern linens and furnishings. 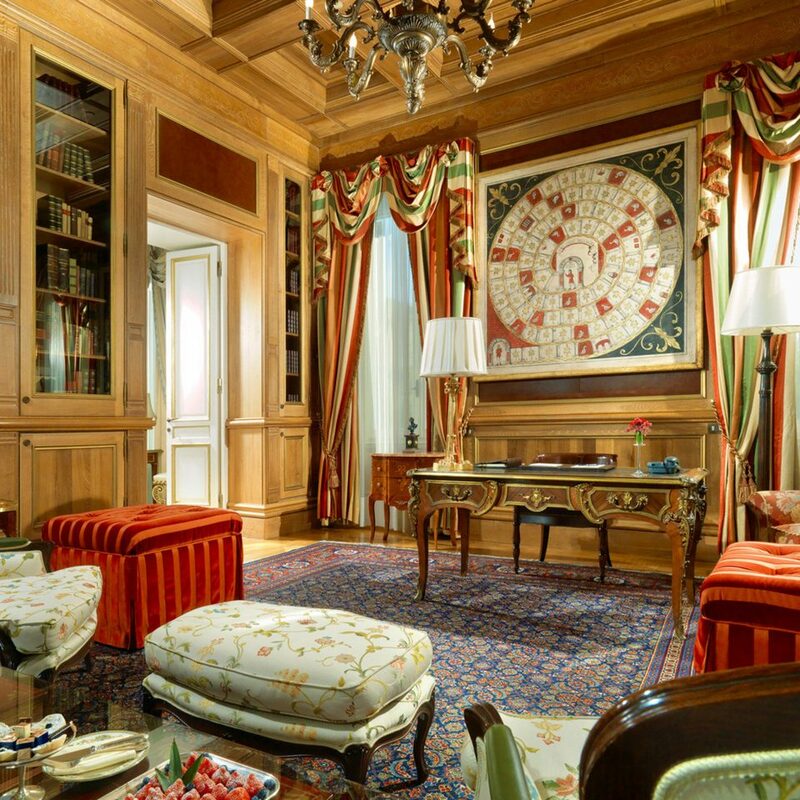 The brilliant original frescoes, contemporary artworks by Ubaldo Bartolini and Paolo Fiorentino and fabulous views of the ancient city make this one of Rome’s most over-the-top stays. 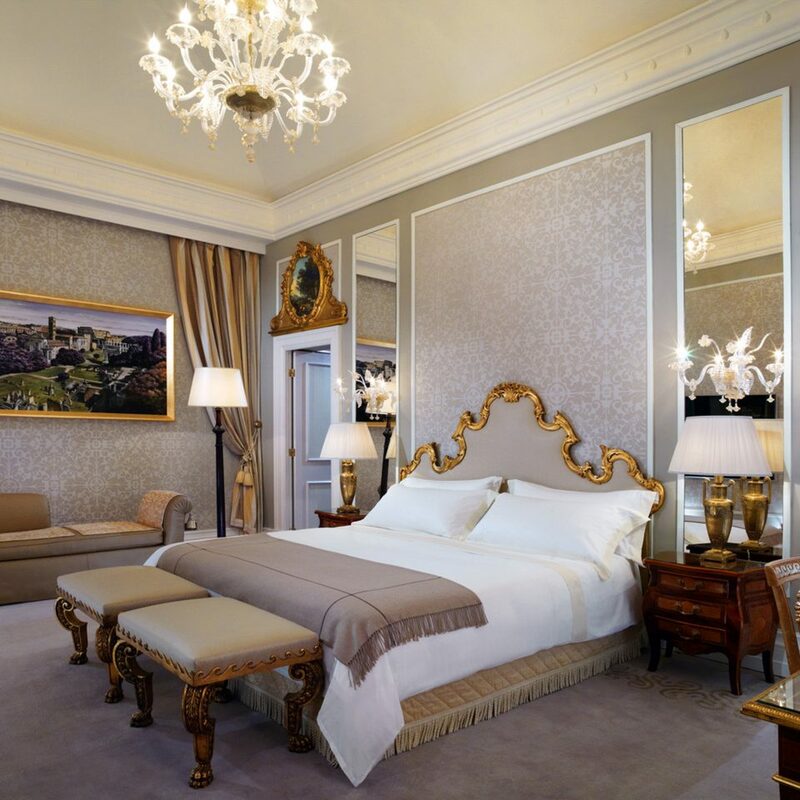 From its standard guestrooms to its superior Couture and Bottega Veneta suites, St. Regis’ accommodations are spot on. 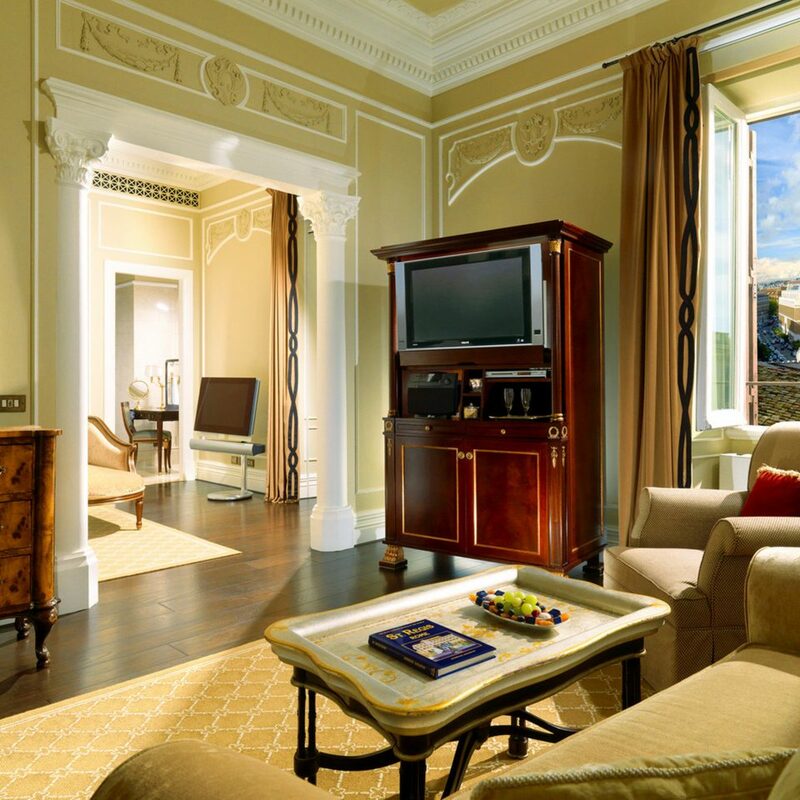 Rooms play on the opulence of Roman royalty, with wide windows and picture-perfect views of Roman ruins. 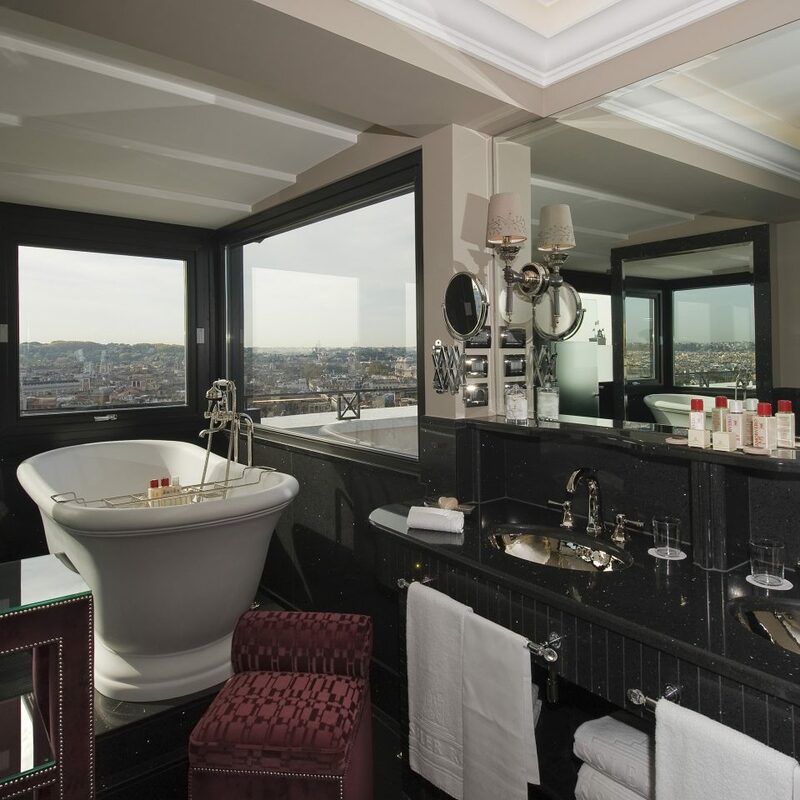 Damask fabric and Murano glass chandeliers decorate the bedrooms, while marble confections gild nearly every surface of the spacious bathrooms, which are stocked with spa-like Remède products. Apart from the hotel’s unbeatable location on the Via Vittorio, the true star of the St. Regis is Vivendo, a retro glam restaurant with a sophisticated, seasonal menu to match. In the dining room and beyond, St Regis’ platinum customer service is always on display: Guests staying in suites have 24/7 butler assistance that includes packing/unpacking and garment pressing. Also onsite? The Asian-inspired kamiSpa, a state of the art fitness center and a buzzy bar. The shops on Via Condotti are just minutes from the hotel. 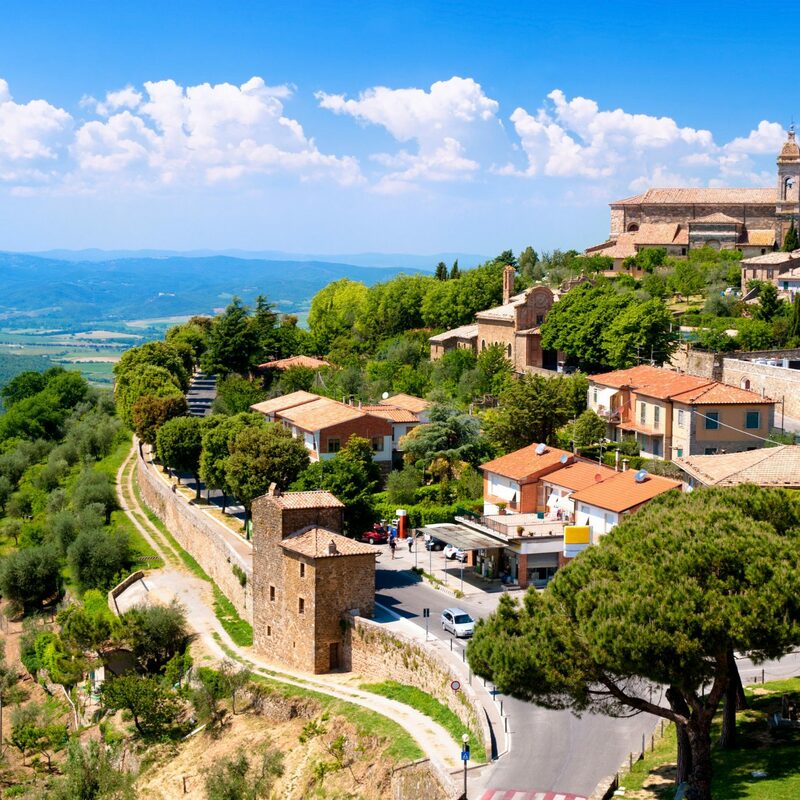 After a retail splurge, eat your way through some of Rome’s best restaurants and markets, namely Piperno and Campo dei Fiori. 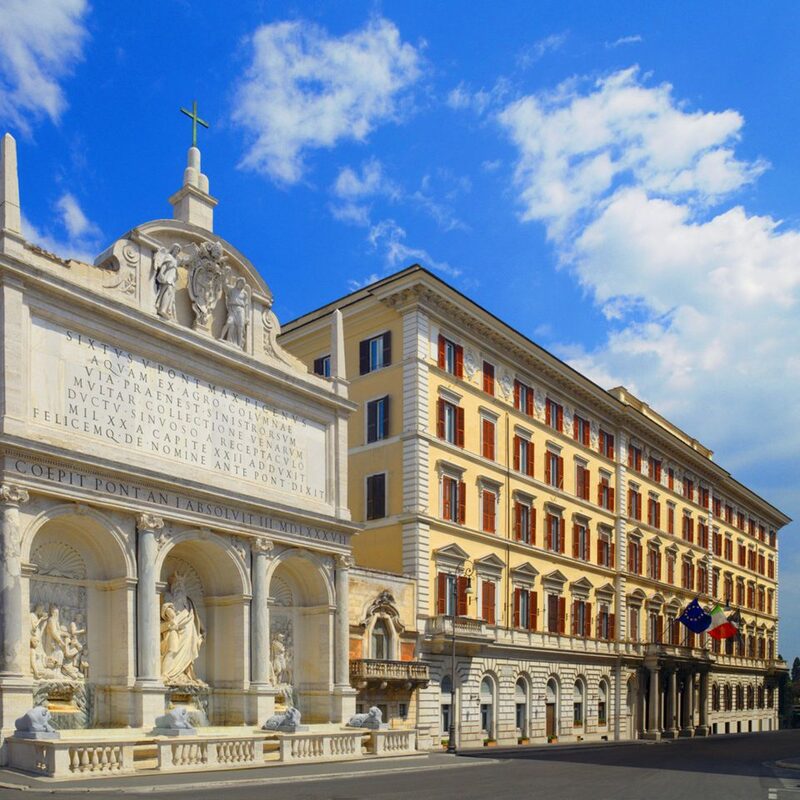 Make time to take in the city’s best cultural attractions, like the Trevi Fountain, the Roman Forum, Michelangelo’s Campidoglio, the Coliseum, Piazza Navona and the Baths of Dicoletian and Caracalla; they’re all a short walk from the hotel. 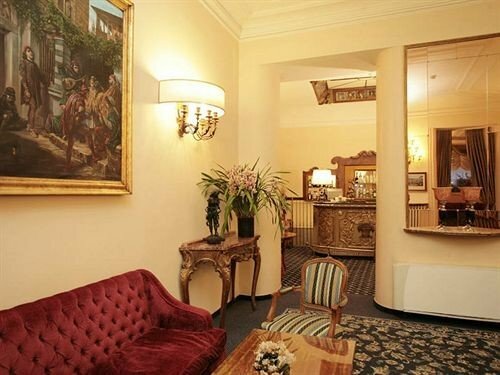 This hotel was the best place I stayed at during my two week trip to Italy. 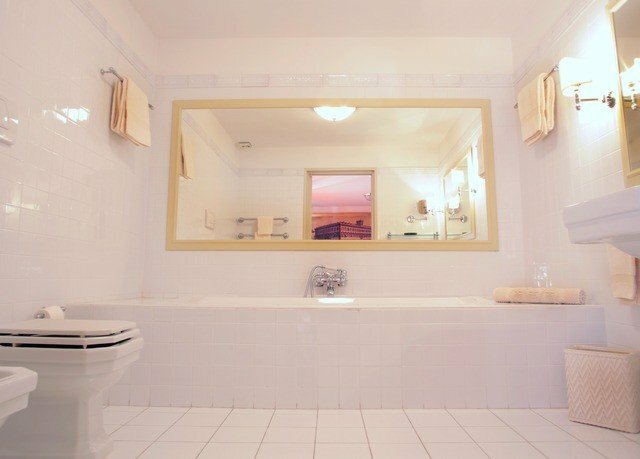 The hotel was very elegant. The woman who checked us in and out of the hotel was incredibly nice, I only wish I had caught her name. The staff at the entrance were always smiling, were very nice. They were very helpful getting everyone in and out of taxis since the entrance is on a busy road. Wish I had more time to stay here!!! 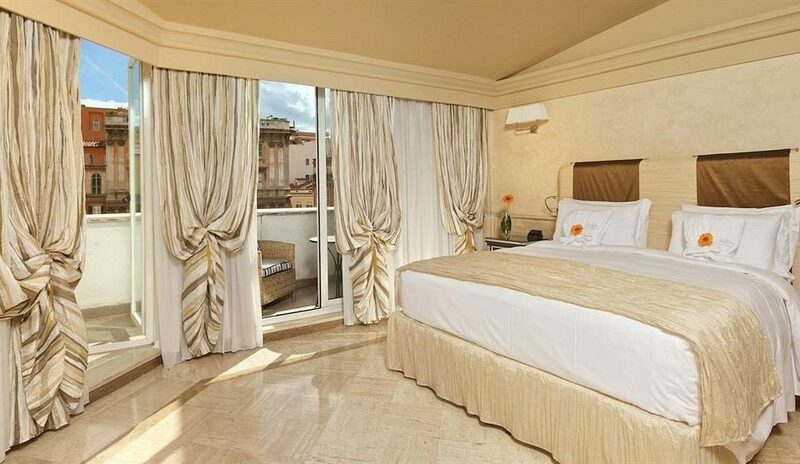 I wish it was possible to give the St. Regis Rome 100 stars. This was my sixth visit and each one is better than the last. The level of service at this hotel is incredible from the moment you arrive to the moment you depart. I love to just sit in the lobby and drink in the beauty of the hotel. 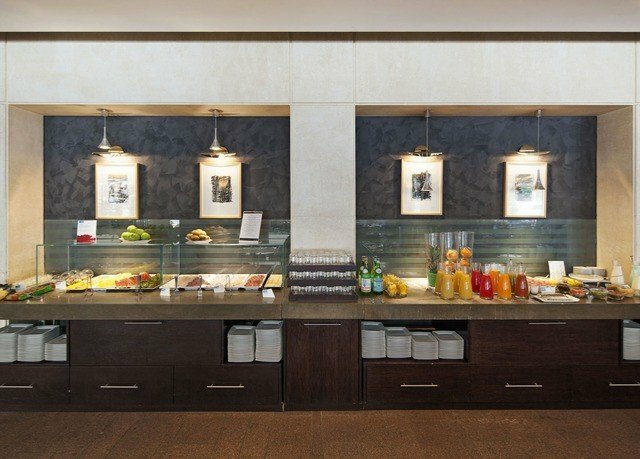 Thank you to Daniele and Andrea at the front desk, Pietro in the lounge, Michele the Banquet Manager, and everyone else that I encountered during my stay. A very special thank you to Louise Kleinschmidt, who, as usual goes above and beyond to make every visit as special as she is. 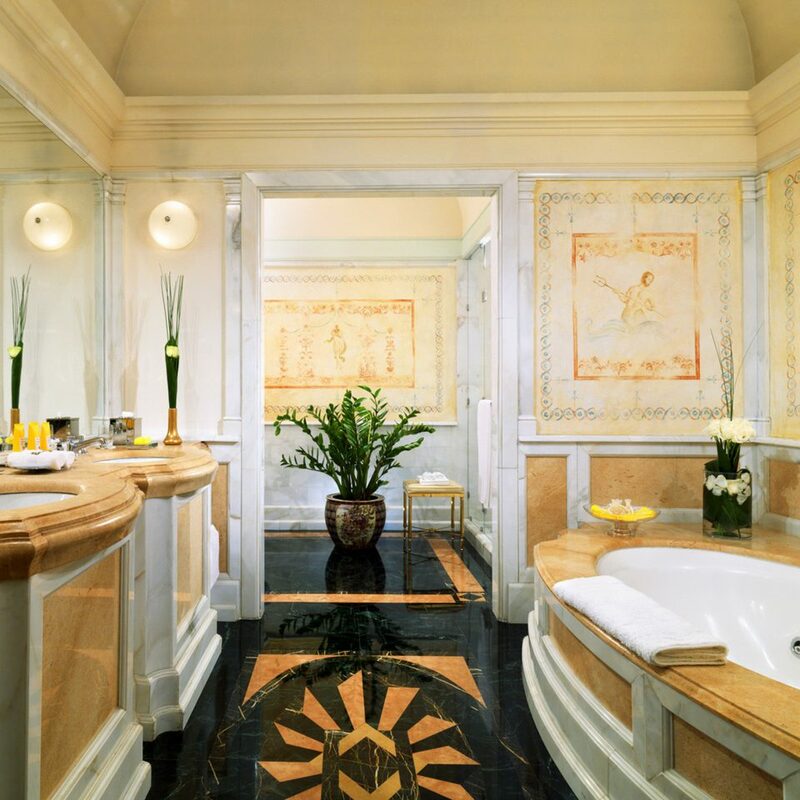 I can’t wait for my next trip to Bella Roma and the beautiful St. Regis Rome. 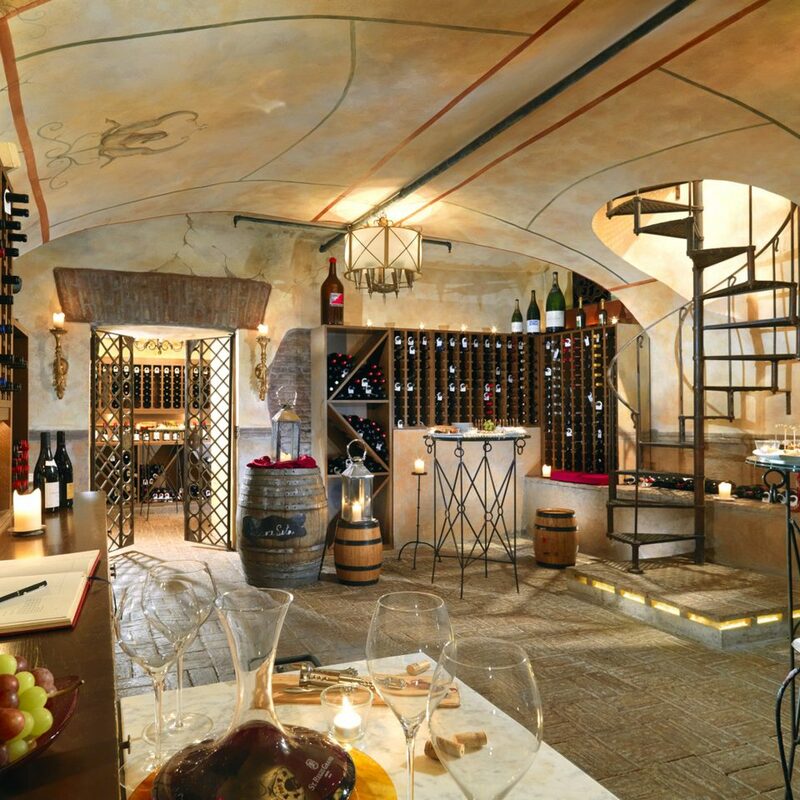 If you are traveling to Rome do yourself a favor and make a reservation. Probably one of my top favorite hotels I’ve been to around the world. The impeccable rooms, service, food, etc made our vacation magical. 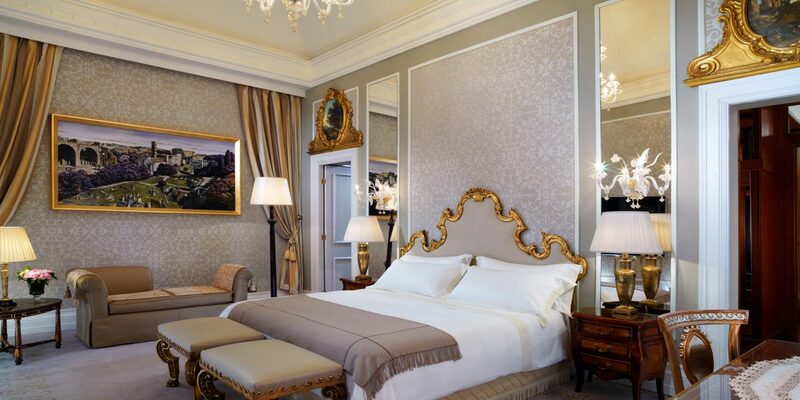 There is history in that hotel from its frescos on the suite walls to one of the oldest working elevator in the world. Starting March 1st we stepped into the most beautiful experience of our lives! To our Butler Vasco, From the time we walked into the hotel and room you made us feel so special; we loved our cookies, fruit, candies and champagne. We loved our chocolate strawberries. Thank you! 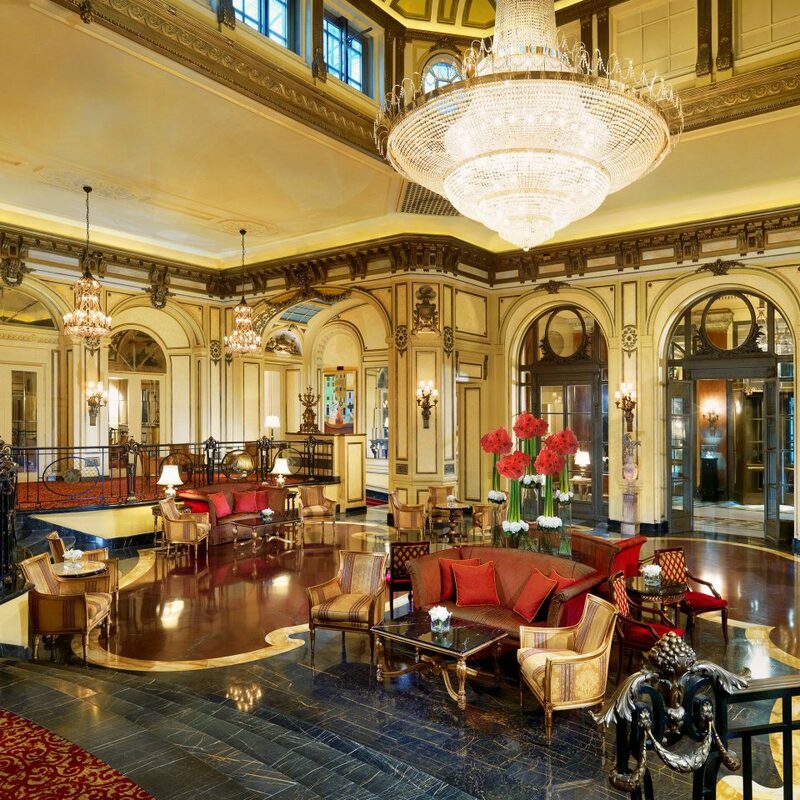 This was our first time at a St. Regis hotel. 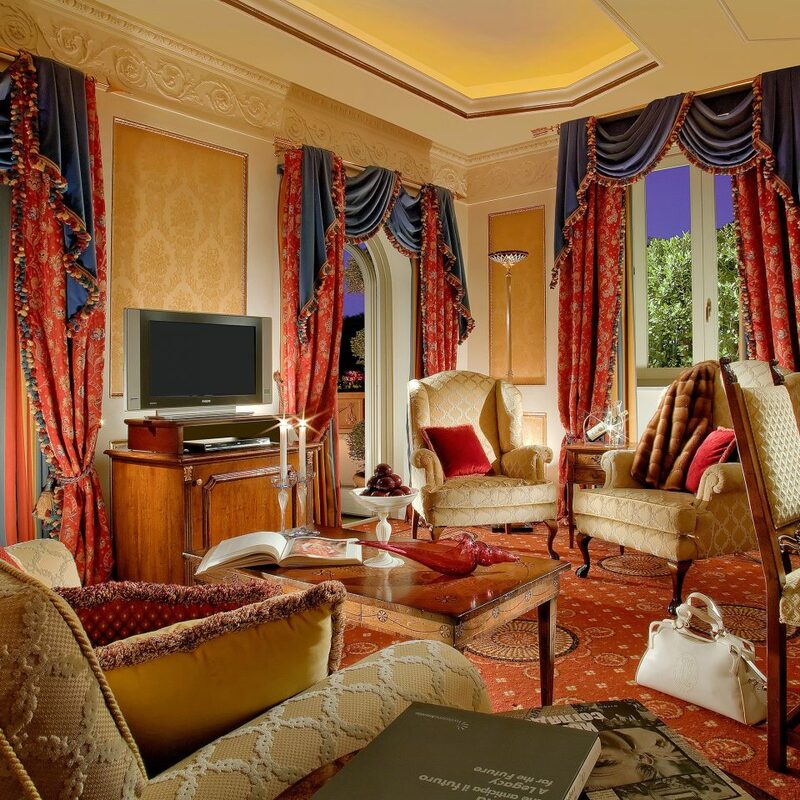 We've been to Rome 5 times( Stayed in other luxury Hotels) and no other hotel comes close to your service, elegance and style.